In June 2009 Eureka Street published a short story entitled 'Curry Muncher'. Its author, Sydney writer Roanna Gonsalves, had come to Australia from India as an international student, and her story stood in part as a response to a much publicised spate of violence against Indian students in Australian capital cities. 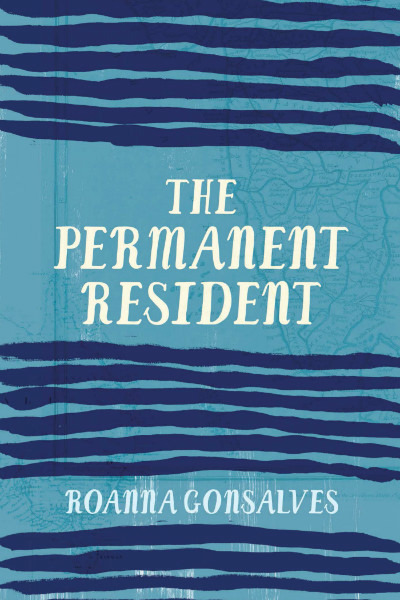 But the story, a revised version of which appears in Gonsalves' NSW Premier's Literary Award winning collection The Permanent Resident, is not didactic or sensationalistic. It is told from the perspective of a young woman who witnesses a violent act against a man with whom she works, and navigates her responses to it. She feels she is acutely marked as an outsider not just by her skin but by the smell of her clothes (she is on her way home from her job at an Indian restaurant), and is both mortified and relieved when the would be assailants, young white men, pass her by in order to menace her friend in another part of the train carriage. The emotional nuance of this story is evident throughout those collected in The Permanent Resident. Gonzales' use of language is sublime and carries insights that allow the very particular experiences of very particular characters to resonate beyond the moment, with the experiences of all who have felt themselves outsiders. Consider this passage from 'Easter 2016'. The story finds a woman belatedly, and increasingly disinterestedly, scouring the stores of Sydney's south-west for Sichuan peppercorns. The elusive ingredient is required for a meal that she is cooking for Easter lunch, which her rather belligerent husband insists must be done right. "While carrying a weight of tradition, the stories are thoroughly modern, even topical. Still, like 'Curry Muncher', they avoid easy labels and pat answers." In these elegant few lines we have a glimpse of the character's domestic life and her way of operating within it; a religious hue in the accidental anointing of her shoes; and an almost comical account of the clash of the ancient with the modern, of timeless forests usurped by the brute permanence of local council concrete. In the language there is a hint, too, of the narrator's disaffection with her existence. Indeed, as her husband bugs her with phone calls about her progress, we learn that upon the birth of their son he had insisted she abandon her career. When she finally locates the peppercorns she tastes one and promptly abandons the package. Gonsalves' characters are Indian migrants who have lived in Australia for varying periods of time. Typically the stories explore the points of tension and illumination where facets of identity intersect: Indian, Australian, Indian-Australian; woman, wife, mother, daughter; friend, colleague, lover; compatriot, victim, betrayer. The narrator of 'CIA Australia', for example, is a recent migrant who develops an infatuation with a second-generation Indian-Australian anaesthetist at the hospital where the narrator works as a receptionist. The narrator believes they are friends, until a tragedy exposes the utter unevenness of the relationship. Elsewhere, 'Full Face' and 'The Teller In the Tale' deal in part with migrants reuniting with relatives in Australia, and the surreal experience of trying to navigate old loyalties and family tensions, and maintain imported cultural norms, against the backdrop of an alien lifestyle and culture. While carrying a weight of tradition, the stories are thoroughly modern, even topical. Still, like 'Curry Muncher', they avoid easy labels and pat answers. The post-#MeToo tales 'Up Sky Down Sky Middle Water' and 'Straight, No Chaser' feature women finding empowerment in negotiating (mostly) unwanted sexual encounters. And 'In the Beginning Was the Word' opens with Angelina D'Costa, 'five years to the day after she stopped being a Catholic', entering a church, determined to confront a popular priest who is known to have covered up for another priest who abused children; only to be moved to submission by the familiar beauty of the Mass. Often the stories are open-ended or structurally experimental, leaving the reader to further contemplation. 'First Person' employs a kind of abstract word-speak that echoes in the gap between the experiences of migrants and that of Aboriginal Australians; both attended by their own particular beauty and alienation. The darkly comic 'Christmas 2012' is a single scene, in which a family sits down to lunch and seems thoroughly disconnected amid togetherness. And 'Friending and Trending' finds a married couple documenting on Facebook the assembly of a new sound system, even as drops of blood flag the ending of a much-wanted pregnancy. The stories are beautifully written, complex, endlessly thoughtful and thought-provoking, and populated by complicated and relatable characters. It's a sometimes elegiac, frequently touching portrait not only of the migrant experience in modern Australia, but of what it is to be a thinking, feeling human in the modern world. She was in her eighties then. And I was thirteen. Now eighty, I've retrieved that memory of hers and hold it as I would my own. We share a love of poetry, having come to Gerard Manley Hopkins from opposite directions, her from religious ecstasy, me from the dark sonnets. In the 1980s we met, in a shelter for Aboriginal women in Collingwood. My next memory? Ursula introducing me to the granddaughter of Kelly's sweetheart, an old woman dying in a Melbourne hospital.